Mango flight reviews earn exclusive SouthAfrica.TO travel vouchers - email a write-up of your last flight to cheapflights@southafrica.to & we'll email you a travel voucher. Ask a Travel Agent - itching to Assist! 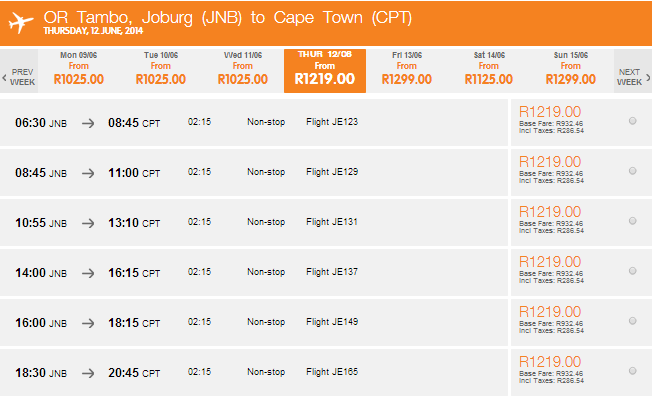 FlyMango, as Mango Airlines are known on the internet, is a low cost subsidiary airline of South African Airways. The airline was established in 2006 and has consistently offered travellers affordable flights and reliable service on domestic and regional flights in South Africa. The airline established the alternative name, FlyMango, for online use through their website URL (www.flymango.co.za) and social media handles on Facebook and Twitter (@FlyMangoSA). It has become increasingly popular to use the name when referring to the airline in any context. FlyMango is based in Johannesburg (OR Tambo) but connects cities across South Africa and Zanzibar. They also offer flights to and from Lanseria Airport. Step 1 : Navigate to Mango website. Step 2 : Fill in where you're flying from, where you're flying to, the date of your departure, the date of your return (leave out if you're flying 1-way), how many adults, how many children and how many infants are flying. Then click "FIND MY FLIGHT". Step 3 : A list of flight options with arrival times, departure time, flight duration, the flight number and airfares will then be displayed (note that the airfares are for 1 adult, not for your whole group). The cheapest flight on the previous 3 days and next 3 days are also shown. Above this is a button saying "Plus/Flex rates" - be sure to click this, as sometimes Mango Flex or Mango Plus is cheaper! Select the flight you'd like to book using the radio button on the far right next to the price. 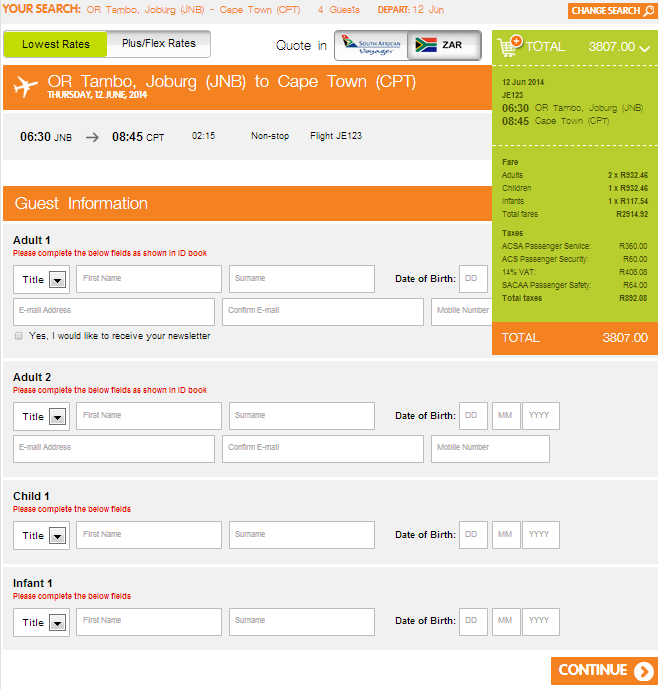 Step 4 : The full price for all passengers is now calculated and shown in the orange bar below the green "basket" on the right. Now, fill in the details of all passengers who are being booked on the ticket. Be sure that the passenger details match the information on travel documents (you can't be born before 1890! Otherwise the engine will ask you to enter a valid age). Then click "CONTINUE" at the bottom right. 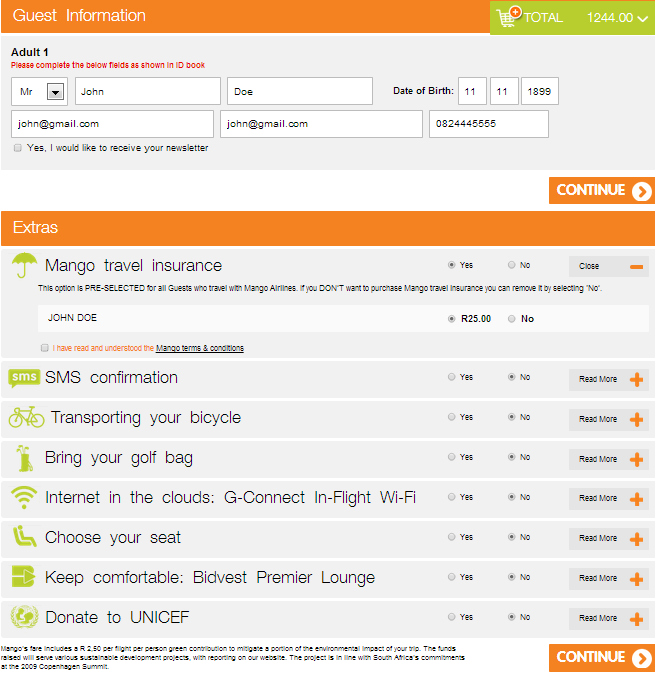 Step 5 : Select the Extras you'd like to book : Mango travel insurance, SMS confirmation, transporting your bicycle, Bring your golf bag, in-flight wifi (Mango is the only airline in South Africa offering this), Choose your seat, Bidvest Premier Lounge or donating to UNICEF. Then click "CONTINUE". At a Shoprite, Checkers & Checkers Hyper Money Market Kiosk (There are booking facilities for Mango flights at Shoprite & Checkers Money Market Kiosks in South Africa). With South African Airways Voyager Miles. If your payment method requires further steps, then complete those (e.g. making payment at a Shoprite/Checkers Money Market kiosk). Then wait for your email to arrive confirming your booking, print it out, and take it with you when you check in at the airport. If you value your time, you should seriously consider checking-in online prior to your flight. 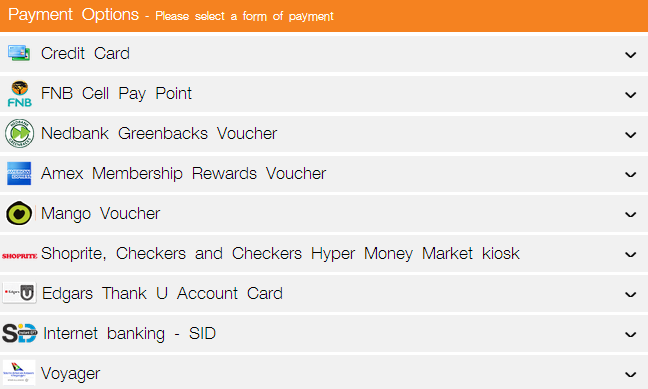 This can save you a lot of time as you no longer have to queue at the FlyMango desk before being able to check-in. Online check-in opens 24 hours before the flight and closes 3 hours before departure. It is the best way to secure a particular seat without paying for it! Be aware though that you have to print out your Boarding Pass when you've checked in online, otherwise you'll have to can check-in at one of the self-help machines at the airport (usually faster) or check-in at one of the desks at the airport. Travellers can check-in any luggage at the dedicated desk and proceed straight to the correct boarding gate. FlyMango is very active on their twitter account (@FlyMangoSA) where they frequently share great flight prices, Happy Day Sale details, beautiful plane pictures (like the one on the right) and so much more. If you want to stay up to date on the latest happenings from #CareerDays to possible flight delays, you have to follow them on twitter! They are also very responsive to passenger complaints. The airline has a Facebook account to which they make multiple posts per day, ranging from airport tips, updates, great deals, competitions and sales to their community work. 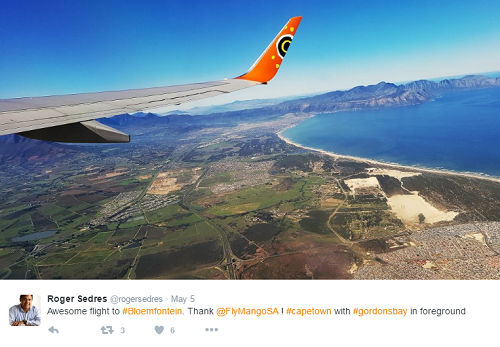 You can follow them at @FlyMangoSA. This is a great platform to follow them on if you want to stay up to date on sales and competitions, but please don't try to make contact. It appears that they only encourage positive interactions, as they have someone directing all unsatisfied customers to a Mango email address. If you want feedback, best make use of other social media platforms. All FlyMango planes are now equipped with WiFi, which can offer speeds of up to 4Mbps. Note that WiFi might not be available on planes not owned by the airline. This enables all the business travellers to catch up on their mails (never expect high speed internet access on an aircraft and you'll never be disappointed!) and the rest of us to browse Facebook. Maybe you'll even want to make use of the FlyMango app! Mango’s mobile app can be used to make bookings and check flight details prior to boarding. The app can be downloaded free of charge on Blackberry 10, Android, IOS and Windows 8.1. Mango is one of the first airlines in South Africa to have the MasterPass in-app feature live on their app, allowing for secure payments to be made. Users have to select the MasterPass payment option to make the secure payment via the app. FlyMango frequently has Happy Day Sales, where selected flights will be discounted for a limited time. These sales are exclusively available online on FlyMango's website. The airline also has an inflight magazine that is available to read online.